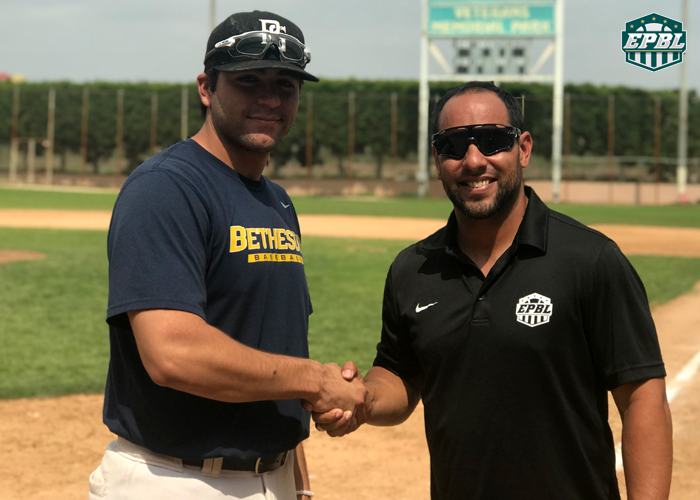 COMMERCE, CA – With the EPBL tryout camp in California bringing in tons of talent, the Old Orchard Beach made a move themselves claiming corner infielder and left handed power bat in Daniel Dominguez. Dominguez, a 24 year old right handed thrower and left handed hitter, displayed amongst the best hitting mechanics of the camp. Dominguez will enter his rookie season in Old Orchard Beach where the town is hungry for a championship. With the addition of Dominguez, it certainly helps those chances for the Surge.